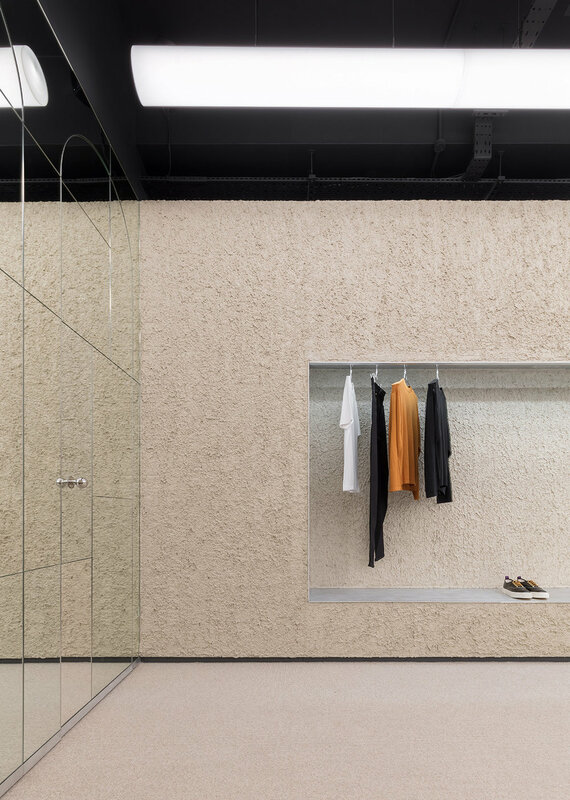 Eytys - London — Addicted To Retail, Inc.
Addicted To Retail (ATR) presents; Eytys London flagship store. 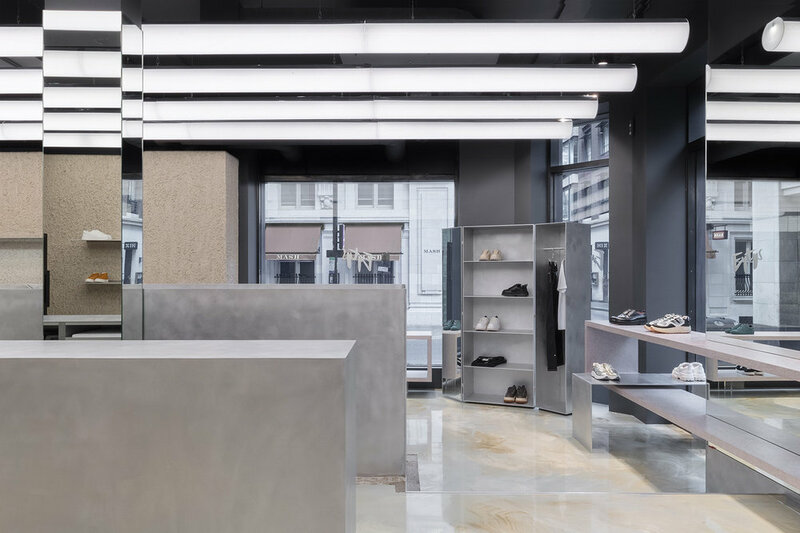 Swedish label Eytys has officially unveiled its new London flagship store, the brand’s second bricks-and-mortar location. 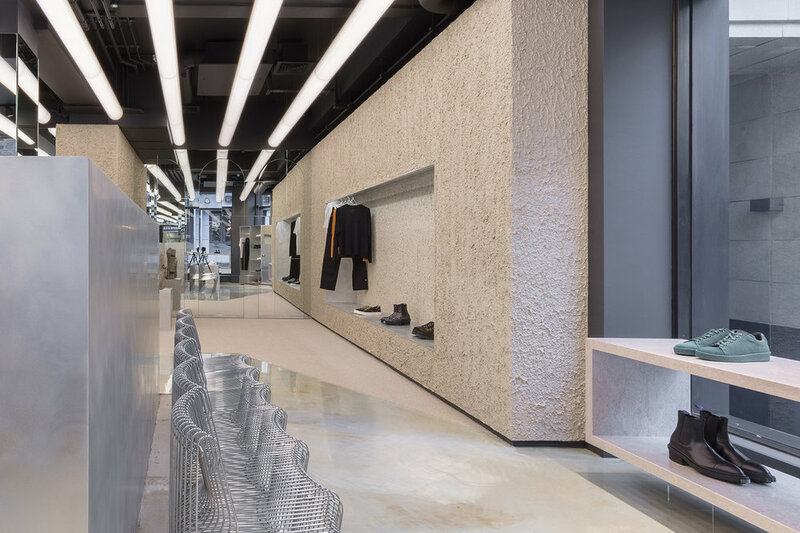 The design for the store mixes a number of disparate influences, including architectural trends spanning 1960s Swedish brutalism and postmodernism from the ’70s and ’80s. Another key influence was Issey Miyake stores designed by Shiro Kuramata in the early 1980s. 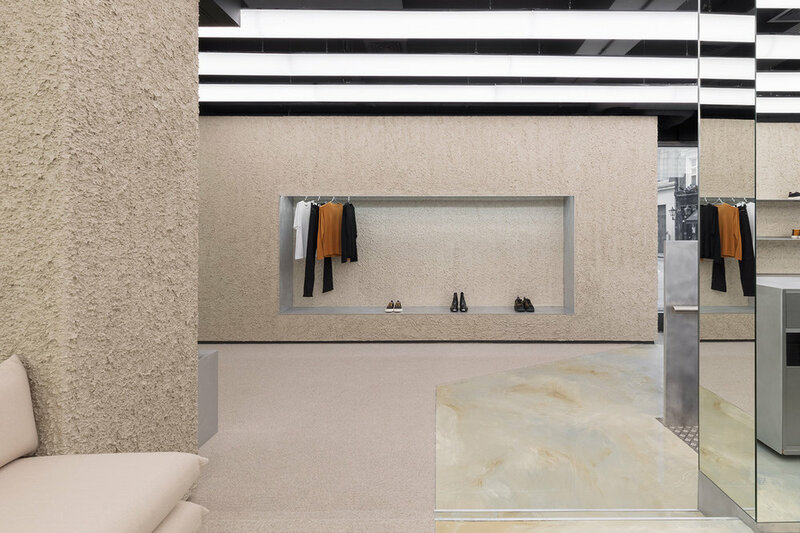 The postmodernist influence is referenced in the concrete walls with aluminum and Italian burl veneer, with the material combination chosen as a nod to Dutch postmodernist Hans Hollein. Hollein’s work is also referenced through a metal palm tree and mirrored vaults. 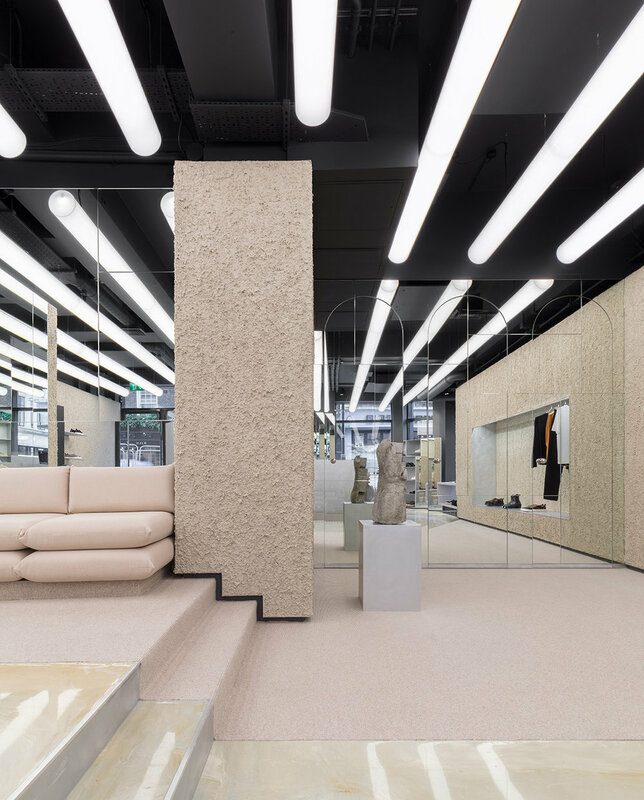 Elsewhere, the space features the light tubes across the ceilings — reminiscent of the Centre Pompidou — and a selection of art taken from Eytys founders Max Schiller and Jonathan Hirschfeld’s personal collections. 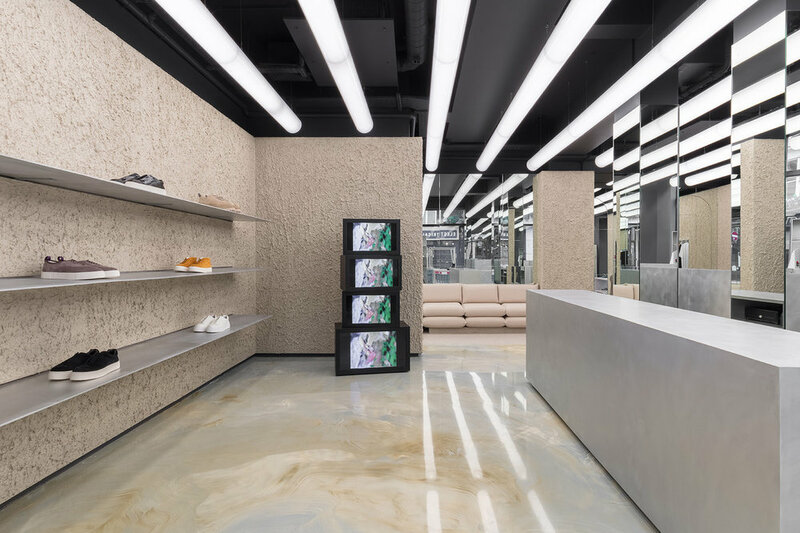 The store will open its doors on September 6 and will stock Eytys footwear and denim collections as well as its upcoming ready-to-wear capsule.